An inspiring true story about the best way to run into your ex, from The 30-Day Heartbreak Cure: Getting Over Him and Back Out There One Month from Today. It’s almost inevitable: sooner or later, unless one or the other of you moves far, far away, you’re going to run into your heartbreaker again. I know you’ve abided by the no contact rules we talked about, and I hope you’ve avoided his favorite places to spare yourself one of those peril-fraught “accidental” encounters. I also know you’ve imagined about a thousand different scenarios of what will happen and how you’ll handle that first meeting. In some scenarios you’re cool and aloof while he tells you that losing you was the biggest mistake of his life. In others he’s cool and aloof and you give him that piece of your mind you’ve been rehearsing to perfection. In still others you’re making a quick dash to the corner drugstore for shampoo, looking every bit as un-showered as you are, and want to die as he walks right by with his new girlfriend, who bears an uncanny resemblance to Angelina Jolie. And on your better days there’s the one where he’s sitting alone and forlorn in a restaurant with an unavoidable view of you, done to perfection, being showered with adoration by your date, a dead ringer for David Beckham. It’s the most normal thing in the world to try to anticipate the best and the worst about upcoming events that matter to us, to give us the feeling of being prepared for anything. But I swear there’s nothing to be gained from trying to convince ourselves how we’re going to feel at that moment when we first see him again and have to juggle all that familiarity, all those memories, all that grief we’ve been battling and our new, painful, seemingly miscast role as an ex. When the moment actually happens, there’s no amount of preparation in the world that will dictate how you react. 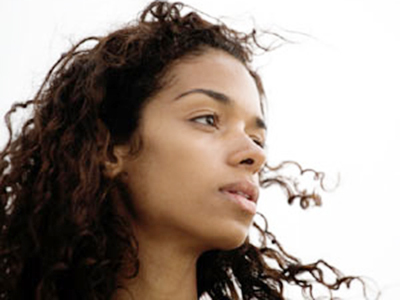 My friend, a scriptwriter, had been with her boyfriend for six years when they broke up. She’d invested a whole lot of her heart and soul and time and energy in him, though they maintained separate residences, and she was devastated when he left, with the same all-consuming dark grief we’ve all been through. I didn’t know her then, but she didn’t need me to give her the no contact rule. She’s never been one to pursue a man, especially when he’s walked out the door, so there were no phone calls, no drives past his house, no “just wanted to say hi” chats with his friends, no mention of him during conversations with their mutual friends. No nothing, just deafening silence and her unsuccessful efforts to work, or sleep, or care. After two months of virtual paralysis, and getting very concerned about her inability to concentrate enough to write scripts, i.e., pay her mortgage, she got a referral from a friend for a good clinical psychologist in the hope of some serious, much needed help just to feel like some version of herself again. She arrived compulsively (and desperately) early for her first therapy session and, too nervous to amuse herself in a waiting room full of back issues of Psychology Today, she headed to the coffee shop in the lobby of her therapist’s office building. She was sitting at the counter, mindlessly buttering a piece of toast she had no intention of eating, when, from a few stools away, she heard a male voice tentatively call her name. She looked over and instantly recognized a successful television producer whose work she’d always admired. She managed a smile and said hello, shocked that he recognized her (to this day she cherishes the anonymity of being a writer) and even more shocked when he told her he was a fan of her work as well. They talked for several minutes until she had to leave for her appointment, and she and the producer exchanged business cards as they said good-bye. Bearing in mind how depressed she was and how many other more pressing issues were occupying her mind, it’s no surprise that she barely gave the producer another thought as she settled into her first therapy session. The therapist was a godsend, a brilliant, practical, insightful woman, and my friend began seeing her, and feeling increasingly more functional, every week, rain or shine, come hell or high water. In the meantime, about a month after that first passing chat in the coffee shop, the producer called with a project he wanted her to write. She gratefully accepted, with a lot of silent prayers that her talent might be willing to come out of hiding again by now — she wanted to work with this gifted man and, even more relevant, she needed the money. The project was thoroughly enjoyable and very demanding, and it went so well that an offer for another one with the same producer immediately followed. With her bank account restored to health, and in good mental health as well, thanks to her ongoing therapy, she was even able to remodel the kitchen of her beloved little house, something she’d been yearning to do for years. One day she was cooking lunch for herself on her gorgeous new Viking oven in her gorgeous new kitchen when the doorbell rang. She was sure it was the messenger she was expecting, so she opened the door without asking who it was. And there, after a year and a half, stood the man who’d broken her heart. Like the rest of us, she’d imagined this moment a million times, with a million variations, most of which involved her embarrassing herself by bursting into tears. But she’d never imagined him at her door, and she’d certainly never imagined this: out of nothing but total shock, she laughed, then stepped back and invited him in. He’d been up to a few things, actually, which didn’t surprise her — he’d always been a busy, successful man with a full, interesting life. It didn’t escape her notice that he was gazing around at her new kitchen, visibly impressed, and that he did a double-take when he happened to spot and read the title page of her script, with her name prominently displayed beside the producer’s, whom her heartbreaker had certainly heard of. He wasn’t there to reconcile, he’d just been thinking about her and wanted to say hello before he left for a six-month trip to England. (And how like him, she thought, to feel entitled to show up at her door unannounced after a year and a half.) He only stayed for fifteen minutes, and then, same as always, he whirled off to a meeting for which he was already late. A straightforward, day-by-day plan for healing heartache in one month from the star of ABC's popular daytime drama One Life to Live. 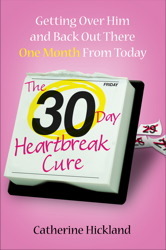 Inspired by the soap diva's own trial-and-error efforts to recover from a broken heart in a healthy and productive way, The 30-Day Heartbreak Cure is an easy-to-follow, one-day-at-a-time plan for getting yourself over him and back on your feet. All you need to do is set a deadline -- one month from today -- for your pain to end, and let Catherine guide you through it. Catherine's solid, empathetic advice will help you take responsibility for your recovery, repair your self-esteem, and learn from the best and the worst of what you've been through. Each day brings a new reflection and a simple activity that will help you look better, feel better, and ultimately discover that you're not just as good as new thanks to this experience, you are better. Catherine Hickland is a well-known cast member of ABC's highly rated daytime drama One Life to Live (as the manipulative but charming Lindsay Rappaport). She is a veteran of daytime television, a theatre actress, an entrepreneur, a public speaker, and a heartbreak survivor. She also has a monthly column in Soap Opera Digest and regularly sells her own cosmetic line, Cat Cosmetics, on HSN (Home Shopping Network).